Charles Mwanza is a developer and teacher with a passion for growing Zambia’s software industry. With over 6 years experience in the software industry, he has acquired solid skills in agile engineering. His passion for software led him to co-found Hackers Guild, a developer bootcamp that teaches how to become a professional web / mobile app developer, inspiring young people to pursue computer science by teaching them how to build cool stuff like games and basic robotics with arduino boards and raspberry pi. Currently a volunteer teacher at Lusaka International Community School (LICS), Ilze has over 20 years of teaching experience and is passionate about integrating technology into the classroom. She is a certified Apple Educational Trainer and one of her main focusses has been to introduce coding and programming into the school curriculum using programmes such as Scratch, Tynker, Hour of Code and Google’s CS-First Coding Clubs. She is excited to get involved with the Africa Code week and wants to see as many children as possible coding in Zambia! Serving in the U.S. Peace Corps, Daniel has been living and working in Zambia (rural areas of the Kawambwa District in the Luapula Province) since 2015. He launched “Girls Can Code!”, a Technology Camps program he designed to empower adolescent girls in rural areas with coding skills. He then moved to Lusaka to harmonize efforts between the Peace Corps and Hackers Guild, a Zambian non-profit dedicated to serving Zambia's youth with computer science and programming skills. Throughout his life he has demonstrated a passion for civic-minded activities such as building homes for underprivileged families in Mexico, to being a search and rescue pilot in Alaska. His rich and varied career includes using technology to document subsistence activities while living with the Inupiaq people of the North Slope of Alaska on the shores of the Arctic Ocean. 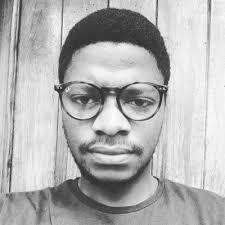 It was during this time that he himself began coding in Arc Macro Language (AML), which is based in UNIX in order to map his findings in geographic information systems (GIS). Following his years in the Arctic, Dan started a tech company using geo-rectified aerial imagery for its clients, in addition to his other businesses and projects in natural resources management, project management, contracting, and consulting. Dan’s undergraduate studies began in a pre-medical program in Wisconsin and then graduate studies at Colorado. Shortly after his graduate studies, he began a 7-year career as a professional mountaineer, big wall climbing guide, and wilderness guide.